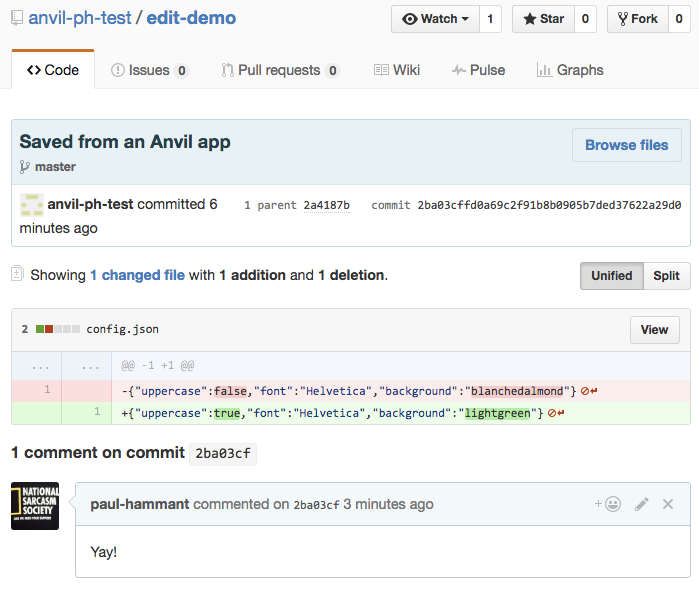 Literally one day after the last blog post on Anvil (and their news announcement), Ian and Meredydd did a proof of concept that made Anvil retrieve/store data from/to Github. Specifically a JSON document. You are not going to rest a transactional database on this design, financial or otherwise, but you might be super happy for a “Very Small Data” application. Or one that is for editing configuration - refer my Config as Code category. This type of solutioning is going to be part of a wave of cheaper internal enterprise apps again, and maybe also apps online for strangers where the cheap data capture is more important that an 100% ‘just so’ UI experience.